15 December 2015, at 6:00a.m. Research on goose disease and duck nutrition was presented in two separate studies at the 2015 International Poultry Scientific Forum in Atlanta. “An Outbreak of Goose Venereal Disease in a Commercial Breeder Operation in California” was presented by Silvia Carnaccini and colleagues from the California Animal Health & Food Safety Laboratory System, at the University of California, Davis, the Poultry Diagnostic & Research Centre, University of Georgia and Cutler Veterinary Associates International. Six live male Toulouse breeder geese were submitted to the California Animal Health and Food Safety laboratory, Turlock Branch, due to poor fertility and hatchability during 2014 spring breeding season. The farm is a medium-large scale, multi-age and multi-breed duck and goose breeding commercial operation, which supplies eggs, baloots, meat, and related products to ethnic markets in California. Only a Toulouse flock was affected, which consisted of approximately 360 birds, 90 males and 270 females. In March 2014 the fertility registered was below 40 per cent, whereas no impact on egg production was observed. 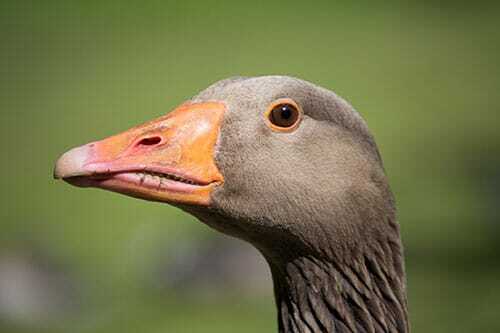 Hence, 40 of 90 male geese were removed (44.4 per cent) consequent to phallic alterations. The lesions observed were confined exclusively to the male genital tract and severely compromised the possibility of mating. Severe granulomatous inflammation associated with bacteria and spermatozoa were disrupting the architecture of phalluses. Severe multifocal lymphoid nodules were seen histologically in the mucosa around the spermatic and ejaculatory ducts. Three different species of Mycoplasma were isolated from the phalluses, and these isolates were further characterised. In addition, Pasteurella multocida was isolated in combination with other bacteria. The P. multocida isolate was serotyped as well as further characterised. Research on “Dietary Threonine Requirement of Pekin Ducks from 1 to 14 Days of Age Based on Performance, Serum Immune Activity and Intestinal Mucin Secretion” was presented by Qian Zhang and colleagues from Purdue University, USA; Sichuan Agriculture University, China and Cotter Laboratory, USA. 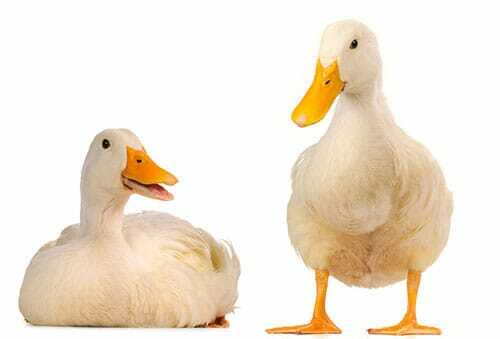 A study was conducted to establish the dietary threonine (Thr) requirement of Pekin ducks from 1 to 14 d of age. Experimental diets were formulated to contain 0.78, 0.84, 0.90, 0.96, and 1.02 per cent Thr (0.74, 0.83, 0.88, 0.92, and 1.00 per cent on an analysed basis) and were fed to 8 replicate pens of 6 male ducks per pen. Body weight and feed intake from each pen were recorded weekly. At 14 days of age, breast meat, ileal digesta and serum were collected to determine breast meat yield, mucin secretion and serum immune parameters. The maximal Thr responses for body weight (BW) gain (mg Thr intake/bird basis; P < 0.05 for linear broken line regression) were 25.27, 67.76 and 85.25 mg/bird at 0-7 days, 7-14 days and 0-14 days, respectively. As the average feed intake (FI) was 266.92, 661.71 and 927.67 g/bird at 0-7 days, 7-14 days and 0-14 days, the estimated maximal Thr responses for BW gain expressed as per cent dietary Thr basis were 0.95, 1.02 and 0.92 per cent at 0-7 days, 7-14 days and 0-14 days, respectively. The maximal Thr response for breast meat yield ( per cent dietary analysed Thr basis; P = 0.09 for linear broken line regression) was 0.96 per cent at 0-14 days. In addition, the ileal mucin secretion was estimated to be highest when 0.90 per cent (per cent dietary analysed Thr basis; P < 0.05 for quadratic regression) dietary Thr was fed.